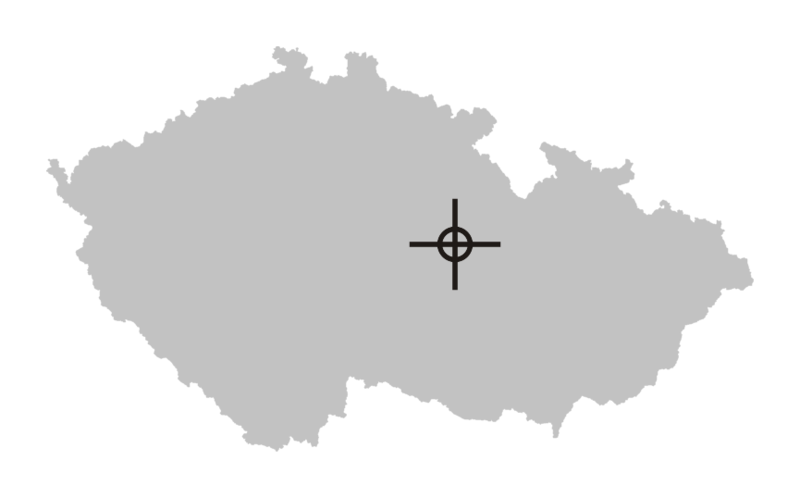 Avoid overflying of Skuteč town. 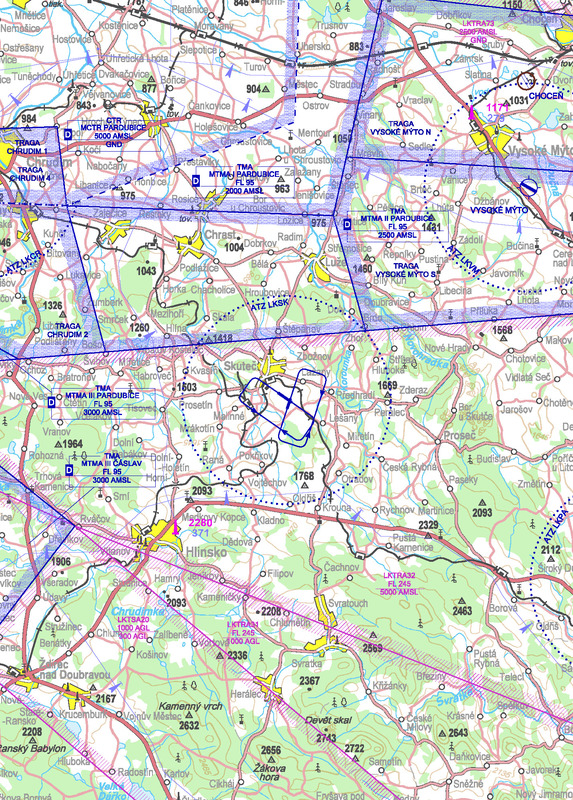 The north part of the aerodrome traffic zone (ATZ) is restricted by vertical and horizontal boundary of MTMA Pardubice. RWY 13/31 is climbing in direction 130°. There is an approximate lenghtwise slope 4,1% (superelevation 30 m) in the segment from THR to 540 m.
1.1RWY 13/31 is climbing in direction 130°. There is an approximate lenghtwise slope 4,1% (superelevation 30 m) in the segment from THR to 540 m.
RWY 21, RWY 31 left hand traffic circuits. 1.2.1The traffic circuit altitude is 2590 ft / 789 m AMSL. 1.3Avoid overflying of Skuteč town. 1.4Unserviceability of RWY 13/31 could be expected after prolonged rains. 1.5Snow clearance is not provided. 1.6Arrival of an aeroplane without two-way radio contact is possible only after previous agreement with AD operator. 1.7Arrival of an aeroplane outside of operational hours is possible only after previous agreement with AD operator (check of movement area serviceability). 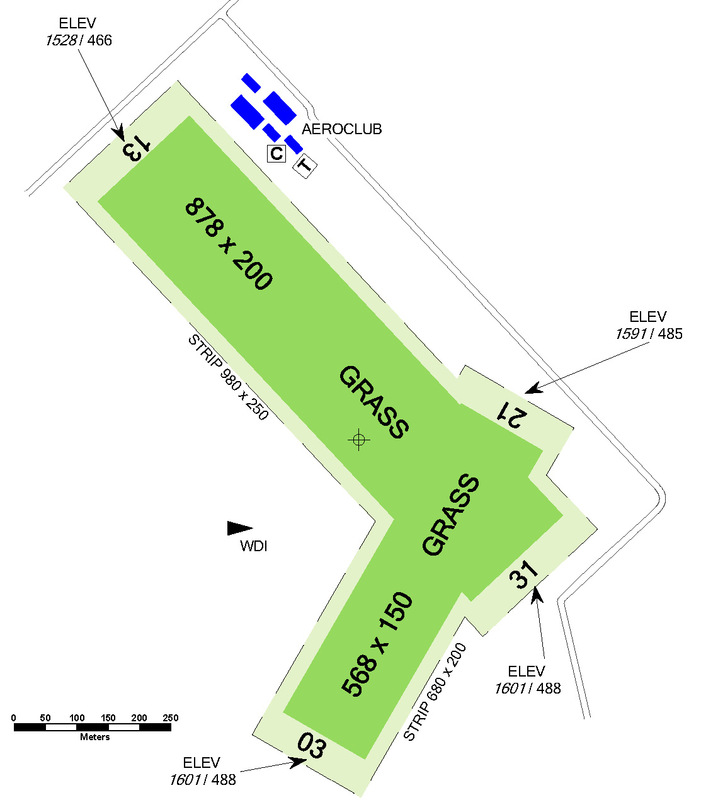 1.8The north part of the aerodrome traffic zone (ATZ) is restricted by vertical and horizontal boundary of MTMA Pardubice. 1.9The roads in the vicinity of THR RWY 31 and THR RWY 13 shall be overflown due to safety at minimum height 15 m from the lowest part of the aircraft or towed object.